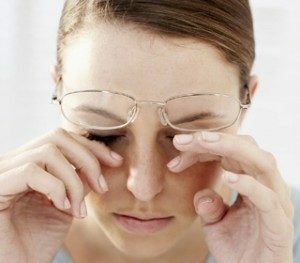 Refractive eye problems that necessitate glasses are myopia ( near-sightedness ) , hyperopia ( far- sightedness ) , astigmatism (multiple focuses ) and presbyopia ( near vision problem after 40 years of age ). There are many operation techniques to get rid of glasses and contact lenses. 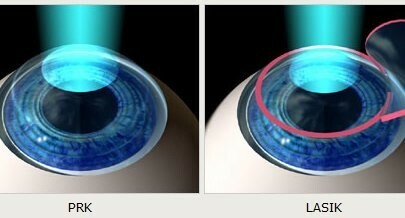 The main one is Laser operations that mainly include Femto Lasik ( IntraLASIK) . Femtosecond Laser operation ( or Femto-LASIK) is a simple and short intervention that utilizes supreme technology by which the operation can be performed in a very sensitive, safe and precise way. 1. it needs no general or local anesthesia , just topical anesthesia by drops. 3.Very short, less than 10 minutes. 4.No eye bandages after the operation. 5.Both eye are operated at the same time. 6.Normal life the next day. 7.No knife is used as in Lasik. 9.No regression of visual problem after the operation in the future. Femtolasik operation can be performed to any person who wear glasses between 18-60 years of age, but first we have to be sure that the refractive error of the eye (number of the glasses) and the structure of the cornea are proper to the laser operation. So , detail eye examination that includes corneal topography and thickness ( e.g pentacam ) should be executed before the operation . After this , the operation is performed within less than 10 minutes without serious pain. Five hours after the operation the patient gets normal vision and all discomforts disappear , and can continue his/her normal life in the next day . Femtolasik is the most advenced , safest and best laser technique. It is better , safer and more precise than lasik technique. 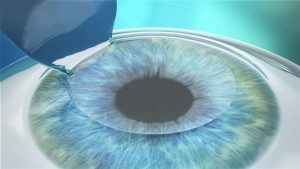 In lasik operation the corneal flap is lifted up by a special knife that’s inserted in the microkeratome device which mechanically cuts the superficial layer of the cornea, and so we can not determine the thickness of this lifted up corneal flap. This may affect the safety and long term stablization of the operation outcome . However , in femtolasikno knife is used at all and no microkeratome. The corneal superficial layer is lifted up by femtolaser which utilizes the very high femto technology to determine the thickness of the corneal flap. Also the shape and homogenity of the lifted flap is very regular . That’s why it is more precise and more stable and safer than classical lasik in the long term . 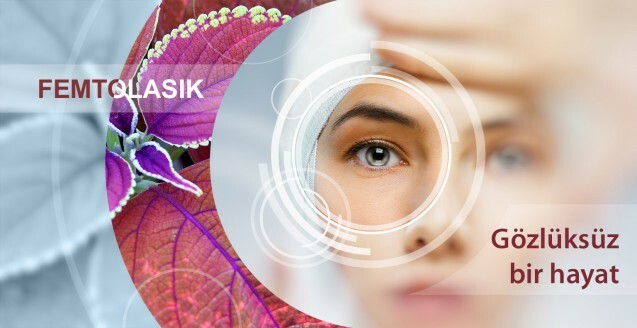 Other than the femtolasik , there is the classical lasik technique – as we mentioned above – which is also effective but not as sensitive and safe as the femtolasik . That’s why now in the USA 80 % of lasik operations are performed by the femto technique . And lasik is preserved only to hospitals that do not have femtolaser machine or where the medical staff doesn‘t have experience with femtosecond technology. A different kind of corrective eye laser is the PRK which is done superficially without lifting a corneal flap . It was the first laser technique that was introduced to the world in the early 1990’s . However , because of creating pain and sometimes long lasting haze it is now preserved for the eyes that have very thin corneas in which femtolasik or lasik is contra- indicated . There is also the femto smile technique, where a small lenticular piece of the cornea is extracted out from inside the cornea . It is usually especially indicated in thin corneas , but still not as precise as femtolasik, and not so effective in hyperopia and astigmatism. In cases where the visual problem is very high , e.g exceeds 10 D of myopia or 5 D of hyperopia we may think of lens implantation inside the eye. 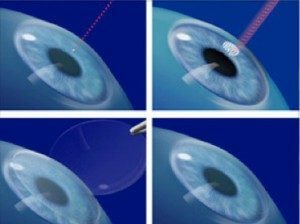 In the last years, the technology of these intraocular lenses is very advanced and can correct both distance and near vision by using multifocal lenses. Laser operations – especially femtolasik– is now very easy, safe and precise. So .. no need to make any panic or stress. 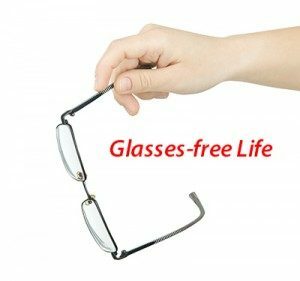 All what you need is to encourage yourself and make the decision to get rid of your glasses and contact lenses, and leave the rest to us.